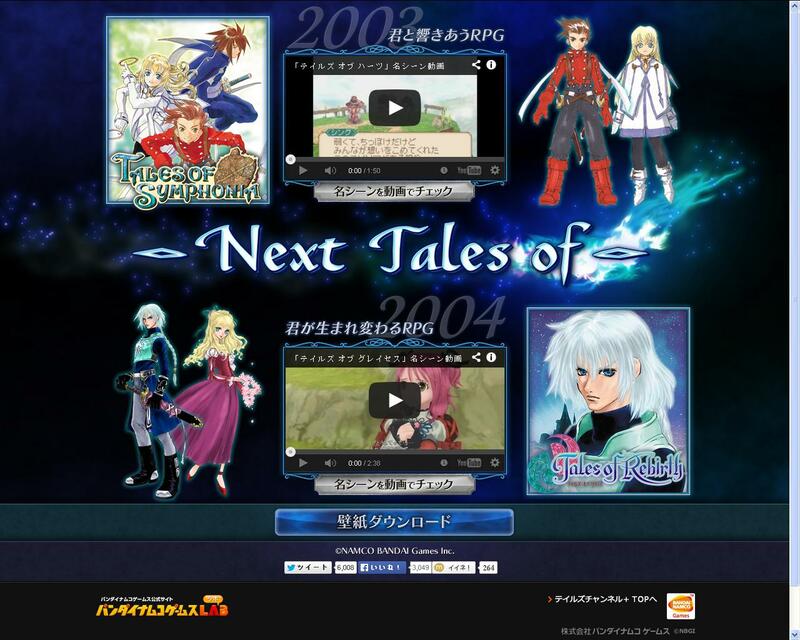 *Update 3 (12/02/2013): Tales of Xillia and Tales of Xillia 2 videos are up, so that means we are hours away from the reveal, but now I hope they also re upload all the wallpapers since I missed the ones from Tales of Eternia and Tales of Destiny 2. Also the news about the new Tales game has appeared in this Sony blog, which almost makes a fact that the game will be released on a Playstation console, being the PS3 the most viable candidate according to an interview with Tales series producer Hideo Baba. You can visit the site here. 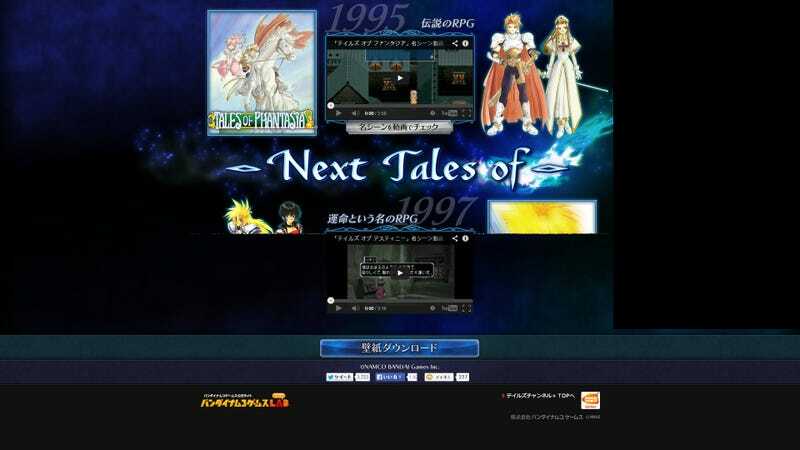 The site contains the legend "- Next Tales of -" which guarantees 100% that the title will be a Mothership one, there's also a couple of videos of Tales of Phantasia and Tales of Destiny the first two game in the series (beware they are in Japanese but are heavy in spoilers), over at AbyssalChronicles they believe that this will be a countdown site of sorts, with the countdown being the chronicle of the past Tales games. They also mention that Hideo Baba, the Tales of games producer mentions on Twitter that this indeed is the case, with the previous mothership titles acting as part of the countdown. To boot you can also download wallpapers of the two games at the bottom of the site.